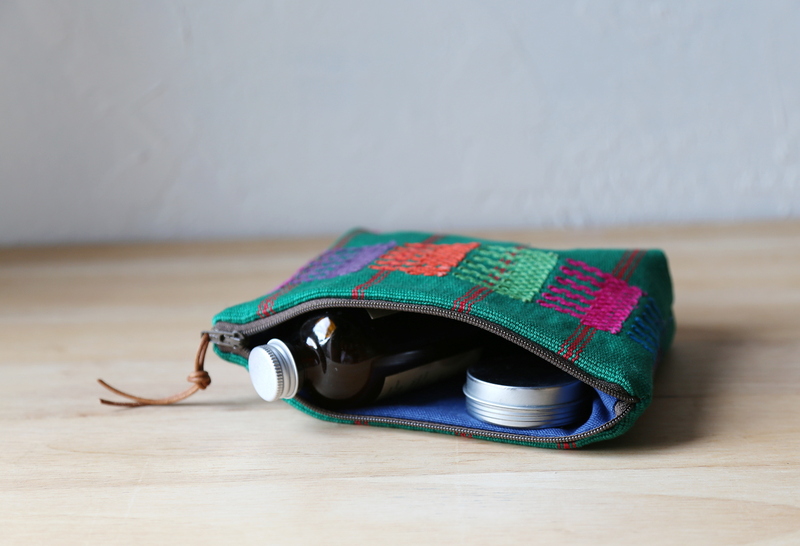 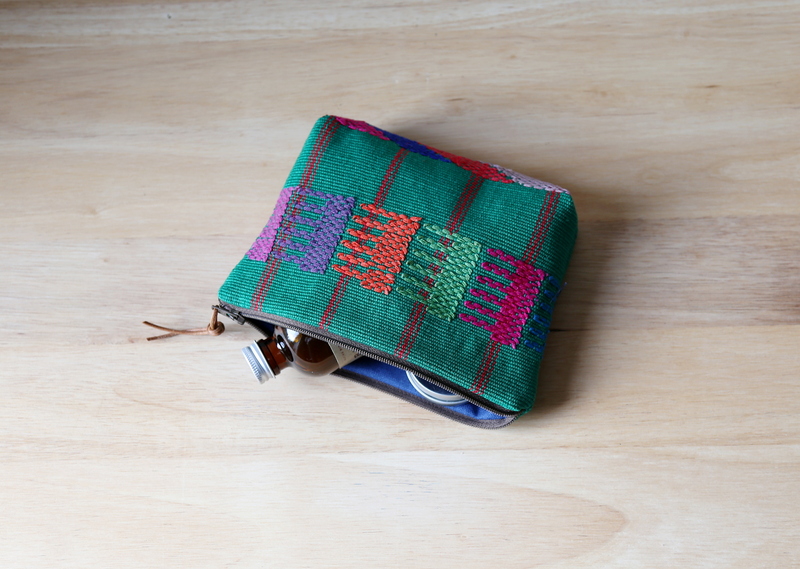 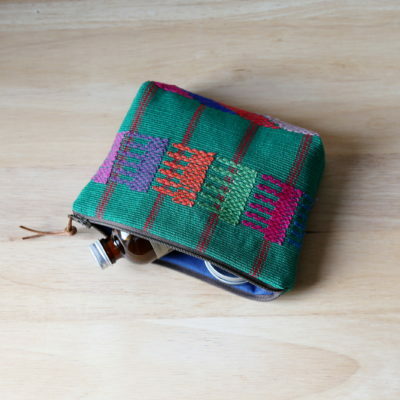 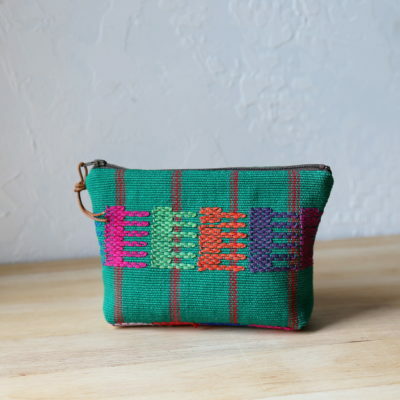 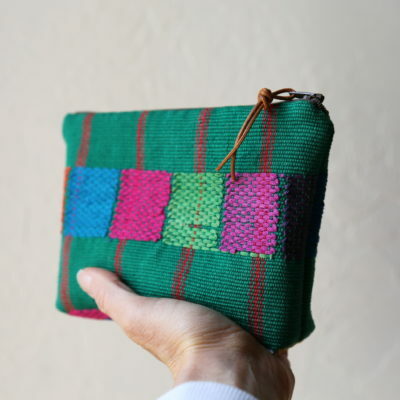 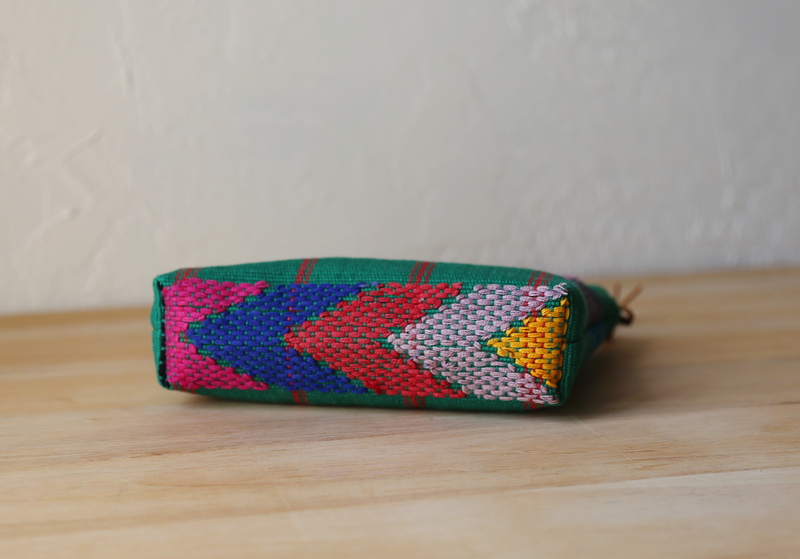 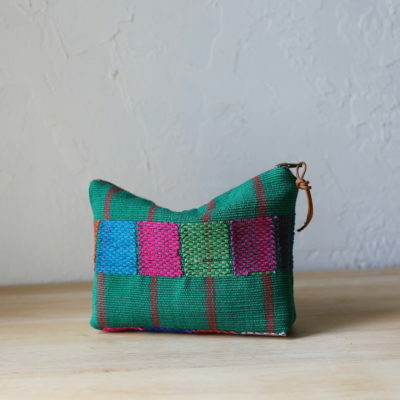 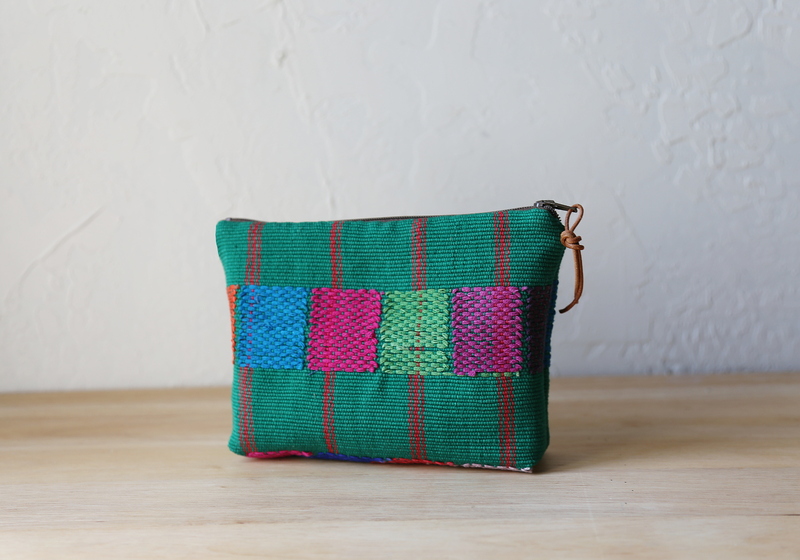 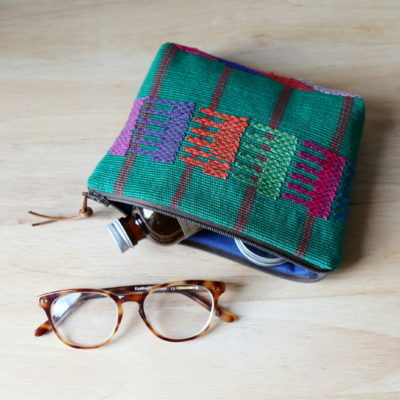 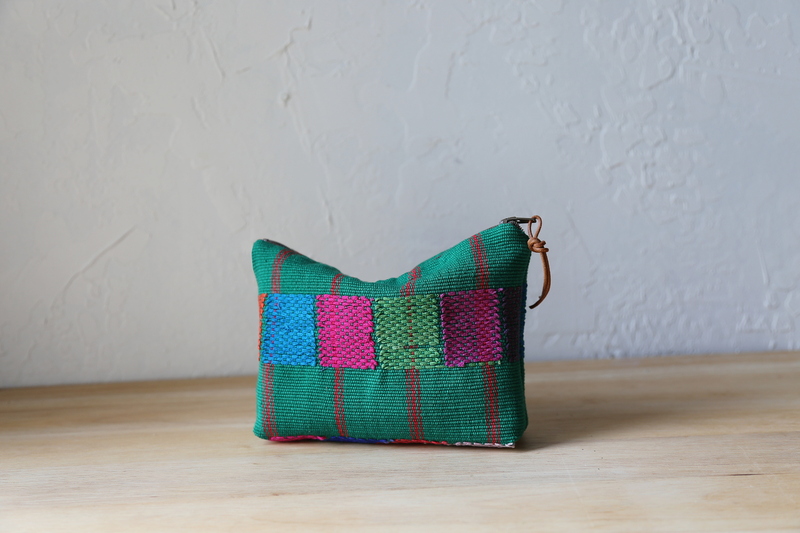 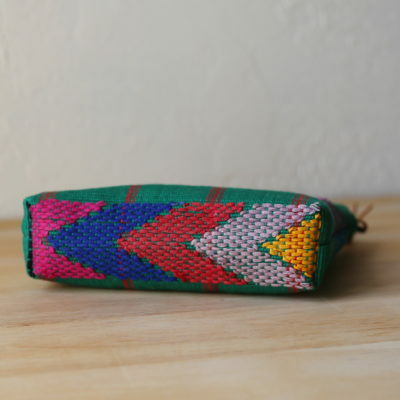 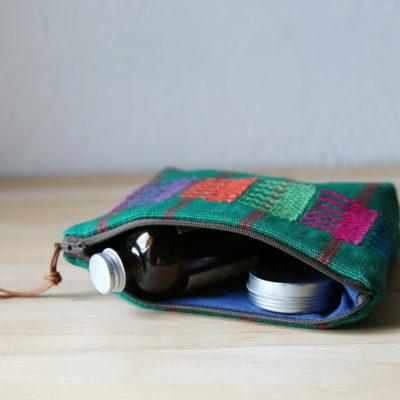 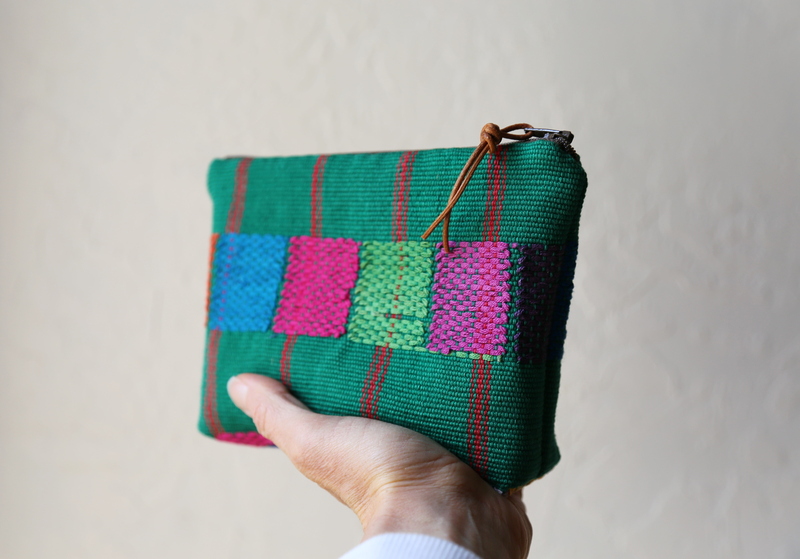 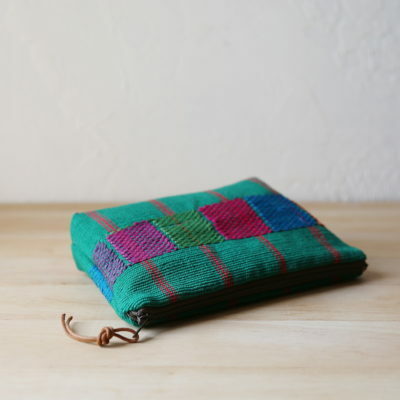 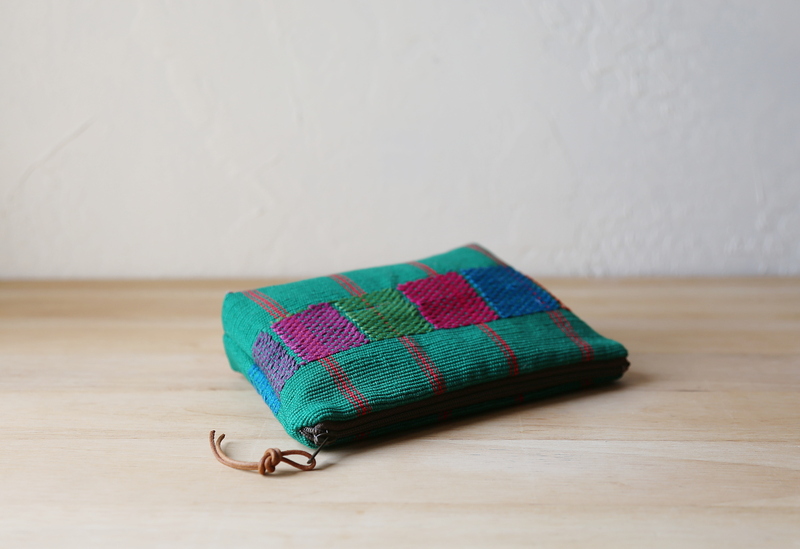 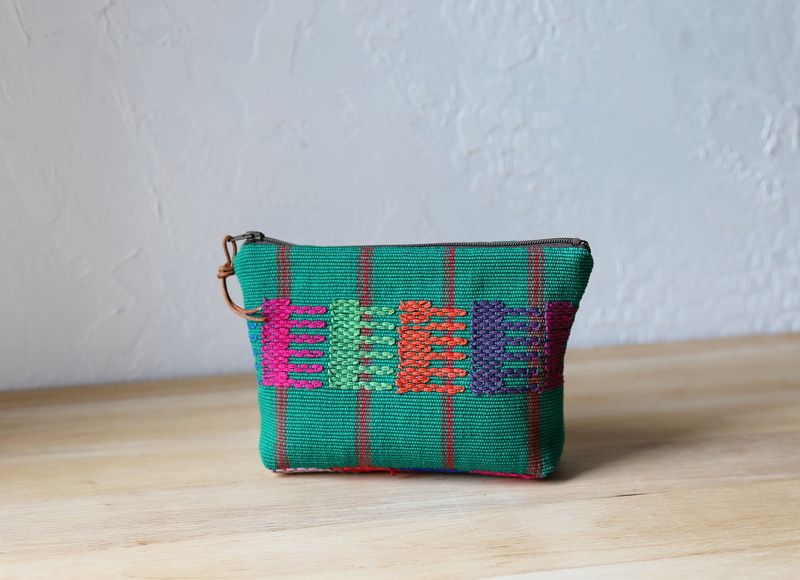 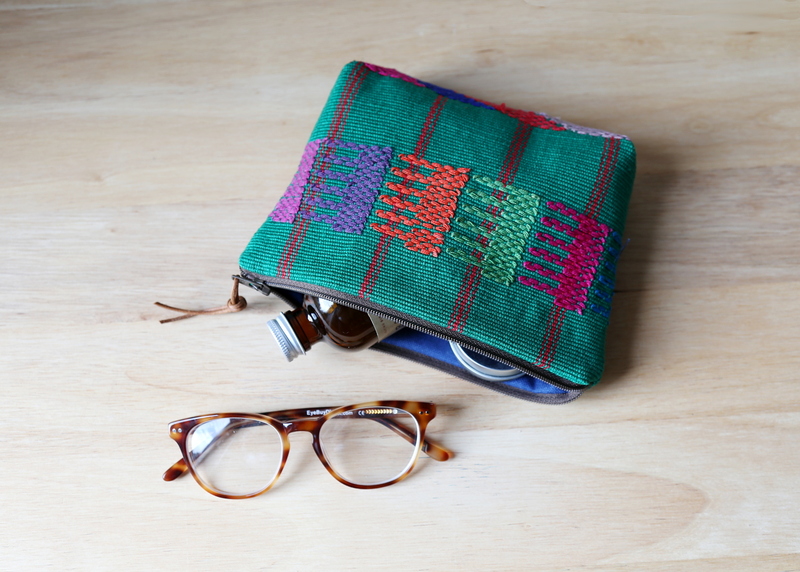 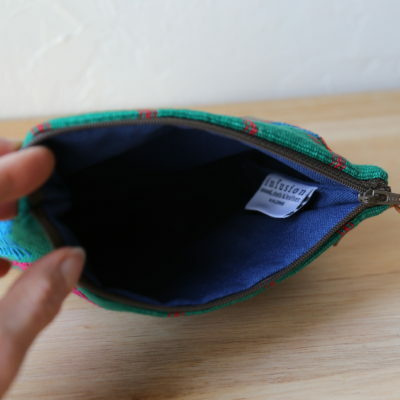 A unique, mid sized zipper pouch made with a handwoven, hand embroidered cotton textile. 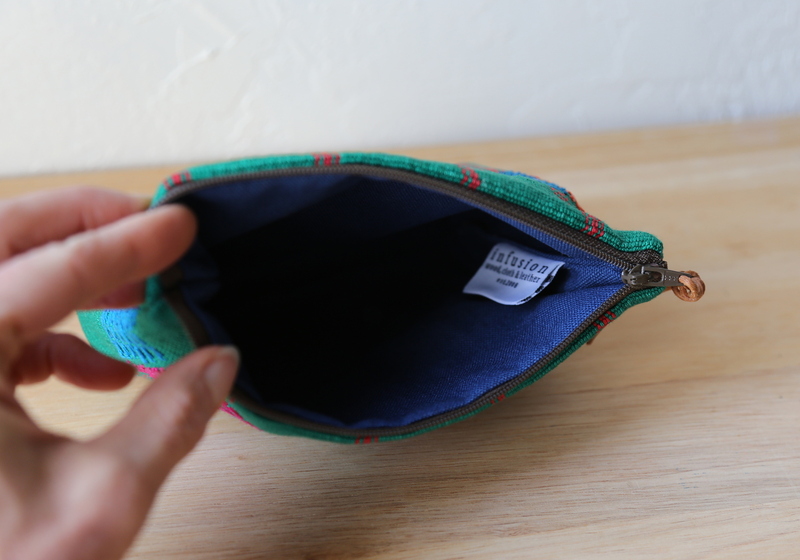 Lined with royal blue organic cotton canvas. 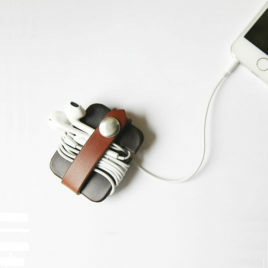 Brass zipper with natural leather cord pull. 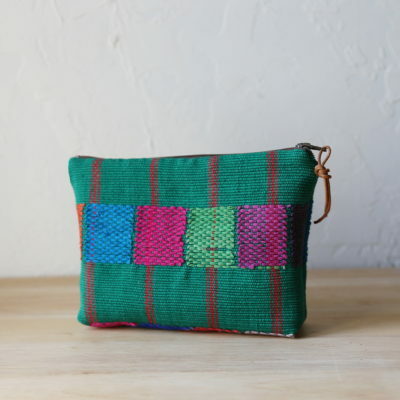 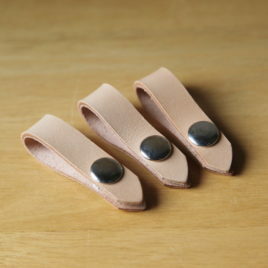 Perfect size for organizing small necessities within a larger bag, or for carrying as a small clutch.